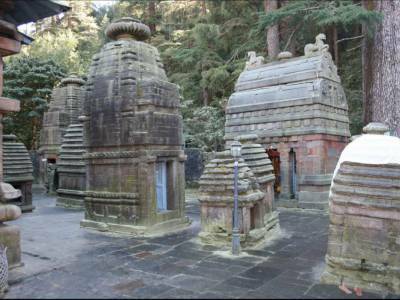 Jageshwar Temple is an ancient Shiva temples complex located in Almora district of Uttarakhand. 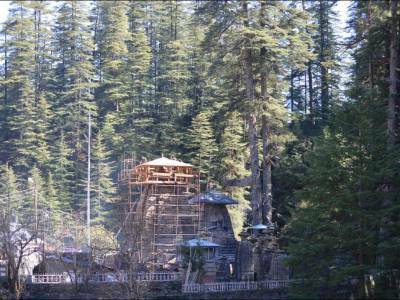 The Jageshwar is the place of the Nagesh Jyotirlinga and other principal temples, i.e. Mahamritunjaya Mahadev, Jageshwar Mahadev, Jhanker Sam Mahadev and Dandeshwar Shiva Temples. There are 100 - 125 temples in this Dham and of which only a few are active at present. Epic stated, that after destroying the yajna of Daksha Prajapati and smearing the ashes of the dead body of goddess Sati on his body, Lord Shiva observed penance for many thousand years in the jungle of Jhakarsaim (Presently the garden of Raja Anand Singh, the last Chandra ruler of Almora). 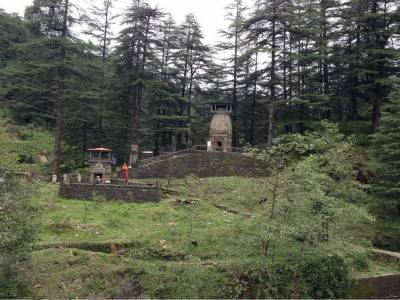 The first Linga of Lord Shiva was appeared at Jageshwar dham from the earth. Pandavas, the hero of epic Mahabharata stayed here while on their journey to the heaven "Swarg in the Sanskrit name". In the Jageshwar Temple complex there are two important separate temples for lord Shiva - one for lord Mrityunjaya Mahadev, where the Maha Mritunjaya Mantra was supposed to have been conceived and other for lord Jageshwar Mahadev, is believed that the Jageshwar Jyotirlinga is the 8th Jyotirling among the Twelve Jyotirlingas in the country. It is a very old and ancient structure, the temples in this dham is an architectural marvelous and excellent spiritual destination, now its under the ASI administration and is being managed by Archaeological Survey of India which also maintains a museum next to the temple. Travelers requires at least 2 to 3 hours time to explore all the temples and there is a small river flowing on the back side of the temple called "Jata Ganga - the river flowing through the hair of Lord Mahadeva". 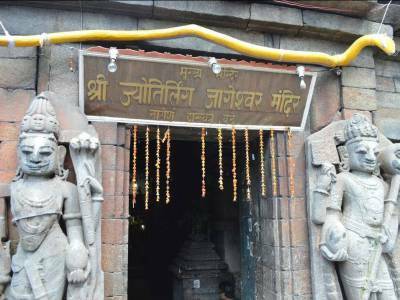 Jageshwar Temple is about 35 kms from Almora and is accessible throughout the year unlike some Temples in Uttarakhand. There are a phew hotels near the Temple. 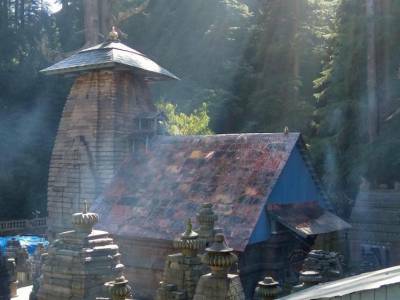 Get quick answers from travelers who visit to Jageshwar Dham.